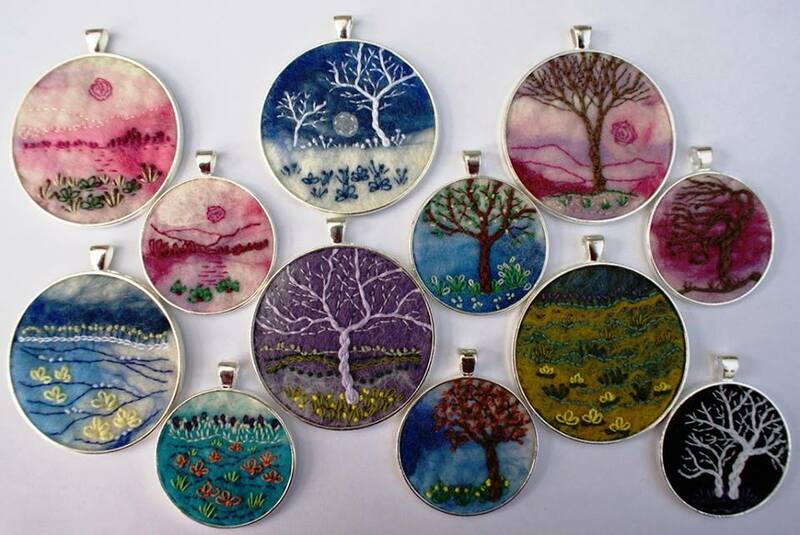 Mo Couper (also known as Mo Bach) makes beautiful pieces of jewellery. 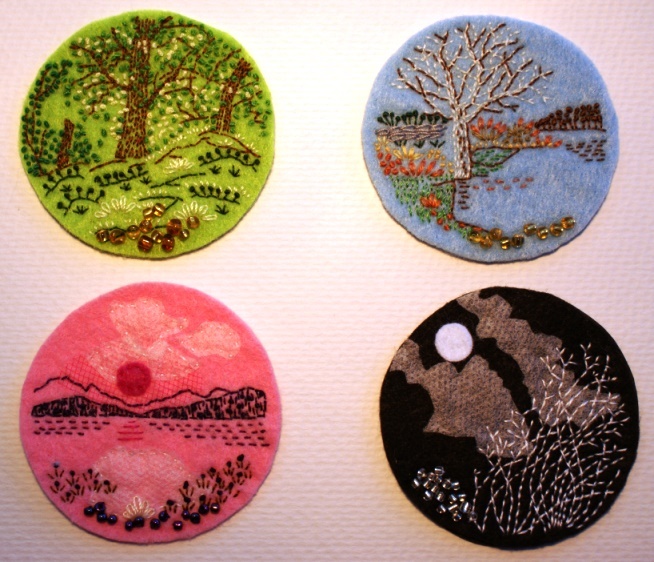 They are delicate hand-embroidered pictures, worked on felt made by Sue Terrey, who was with us at the Fibre and Fabric Fair last year. Mo went to Southend School of Art, had a job in London as a window dresser, and then worked out what she really wanted to do. 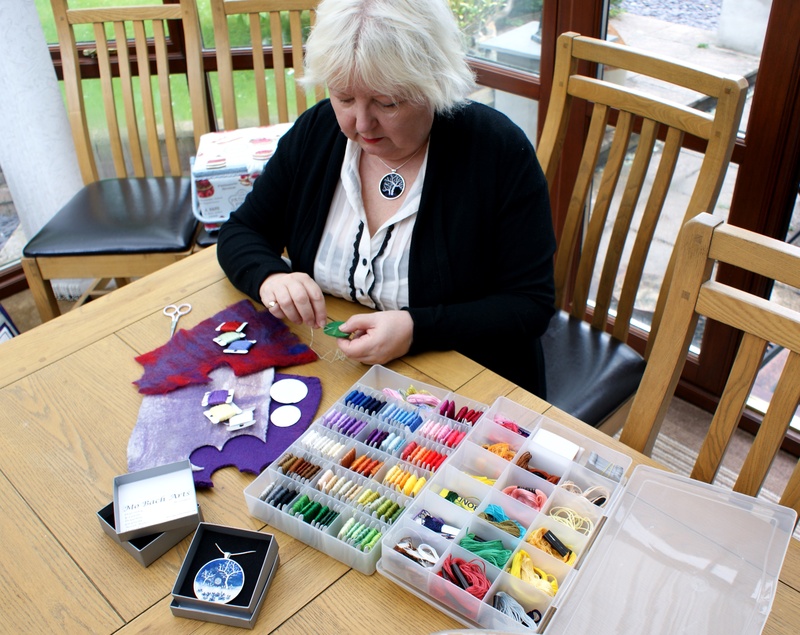 She trained as a teacher and taught arts and craft, both in schools and for private pupils. She had known and loved Snowdonia for years, and finally gave in, moving here permanently in 2012: ‘It was like coming home’. 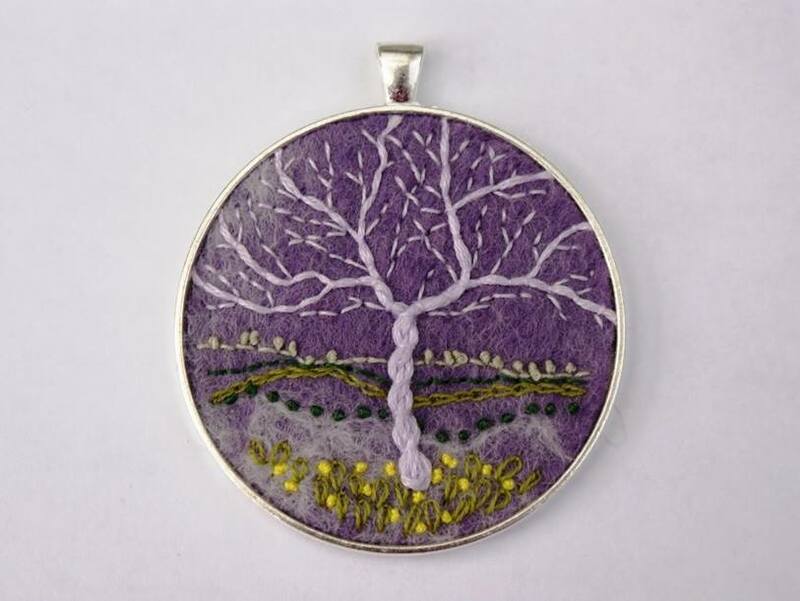 Most of Sue’s pieces are then mounted into pendants, but she also frames some. They are exquisite: delicate and unique visions of the landscape that inspires her so much. Mo’s work can also be seen at Celf Aran in Dolgellau. 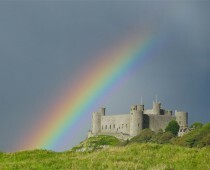 To see more, and to see her in action, come to the Fibre and Fabric Fair in Harlech, Saturday and Sunday, 23 and 24 July, in the Memorial Hall (opposite the side of the Castle), 10.30 to 4.30.